Lyme disease is a potentially serious bacterial disease. It is spread by infected ticks which are now common. 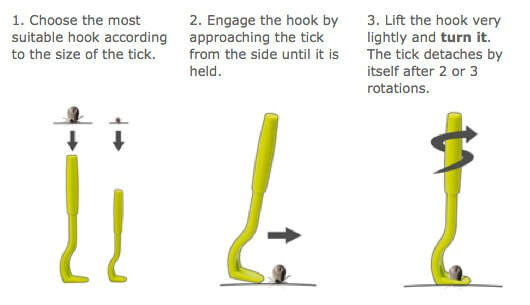 ​Check yourself for ticks and remove them properly. Removal tools are available at outdoor shops. ​Do not simply pluck them off with your fingers. The area should be disinfected before and after removal. Ticks are at their most prolific in summer. Long trousers should be worn. Light coloured clothes make ticks easier to spot. Clothes and skin can be sprayed with permethrin and DEET respectively. The risk of transmission of Lyme disease is thought to be very low in the first 24 hours. Taking antibiotics "just in case", after a tick bite is not currently recommended. The normal incubation period for Lyme disease is two to thirty days but bacteria can lie dormant in the body without causing disease straight away.